Boilers which have not been properly maintained have the potential to produce carbon monoxide. If it is dirty or the gas air ratio is not correct then you could be at risk. This can only be determined by having a service, at which time the boiler would be thoroughly cleaned. New boilers have seals to prevent the emissions coming back in to the room – in a service we would check that these are all in tact. Older, open flued boilers have a greater risk – these should be serviced regularly. This includes warm air units! We always recommend a carbon monoxide alarm is fitted. This will keep your peace of mind between services! A service is a full system check, this includes checking that the pump and valves are working correctly, bleeding any radiators and checking the boiler is safe to use. 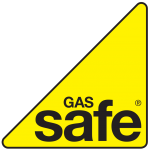 A boiler has many safety devices which need to be checked regularly. Although the main aim of a service is to check that the boiler is safe, it could also pick up any potential issues and we could arrange to fix them before the boiler stops working! Once a service is completed we will leave you with a certificate which proves that we have passed the boiler for the year and will detail any issues we have found and how to remedy them! We can also tell you how efficient your boiler is, and if there are any ways you could be saving money on your gas bills, also whether parts for your boiler are still available!